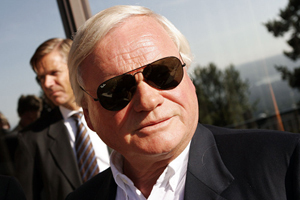 John Fredriksen, the tax-exiled Norwegian shipowner who ranks as one of the wealthiest men in the world, has stepped into the center of the turbulence around Norwegian Air. 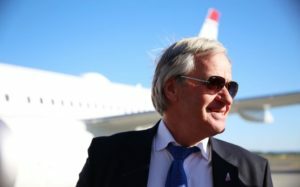 Fredriksen now seems to be bailing out a fellow Norwegian entrepreneur, Bjørn Kjos, who founded Norwegian Air but has needed fresh capital to keep his airline aloft. It all suggests the introduction of a powerful new force into Kjos’ Norwegian Air empire, as two Norwegian tycoons in their 70s team up and attempt to get along. Both are known as strong and stubborn men accustomed to getting their way. Fredriksen, an extremely shrewd businessman, is making his first entry into the airline industry and must see potential for more profits. Kjos, who lost British Airways’ parent company IAG as a potential acquirer last week, was putting a brave and optimistic face on the deal. The airline’s lengthy period of massive expansion will now taper off, however, and cost-cutting is underway. 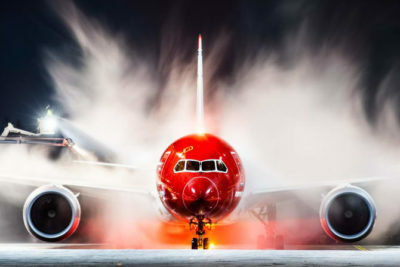 Norwegian, often accused of biting off more than it could chew when massive route expansion led to passengers getting stranded around the globe, may perhaps now try to digest what’s already on its plate. The airline announced last fall that it would cut costs by at least NOK 2 billion in 2019, it’s dropping some routes and closing six bases to save money, while trying to avoid layoffs. Analyst reaction to Norwegian’s bulletins on Tuesday was largely positive. Newspaper Dagens Næringsliv (DN) reported that Nordea Markets thinks the new stock issue will strengthen the company’s balance sheet and address its pressing need for capital. SEB estimated that Norwegian will now generate a net profit of NOK 850 million in 2019. Kjos claimed that his airline avoided any violations of its lending agreements. Numbers released Tuesday showed the airline with net capital of NOK 1.7 billion, just NOK 200 million more than the minimum demand in its financing terms.